The terms used in advance directive forms can be tough to understand and have the possibility for misinterpretation, given that their specific legal definitions can sometimes clash with common usage. Understanding the terms on the forms is vital to creating an advance directive that is properly representative of one's wishes. 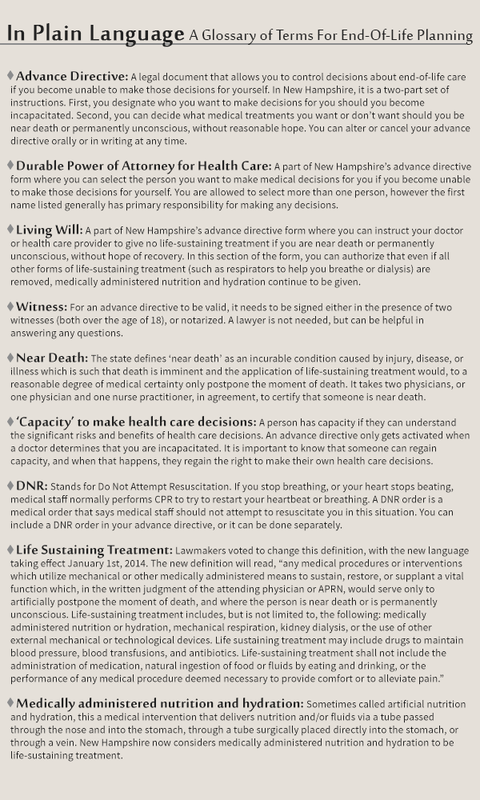 New Hampshire’s advance directive form got an update Monday. Governor Hassan signed a bill that seeks to streamline and simplify the document.